So, buddy strikes out by showing a lack of confidence. 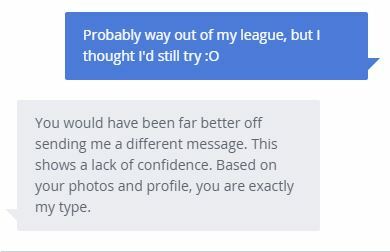 Women love a confident man. Worst case, fake it. And he seemed like her type, too! This entry was posted in Online Dating Advice.